This new building, the Science Complex, opened with the Fall 2018 semester. 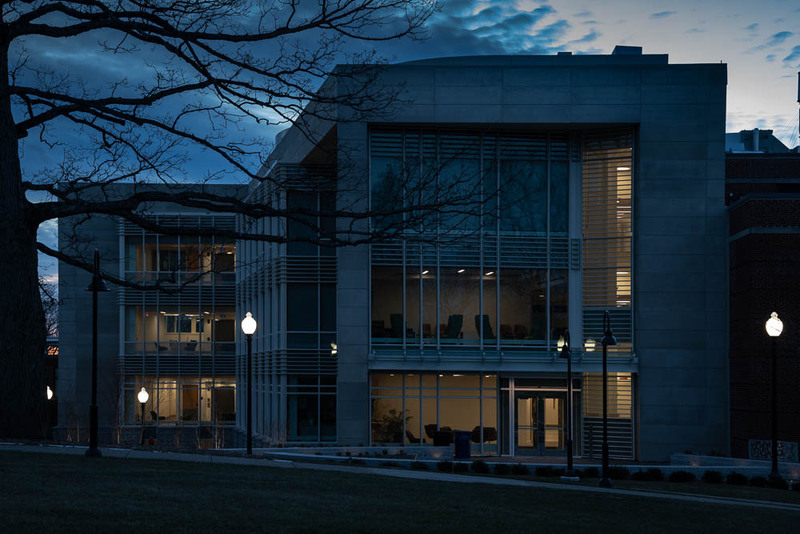 Shown here in its night-time illumination, the building contains the administrative offices for the science departments, as well as new, state-of-the-art classrooms and laboratories. One room that I use occasionally houses the confocal microscope, about which you will hear in a later post. 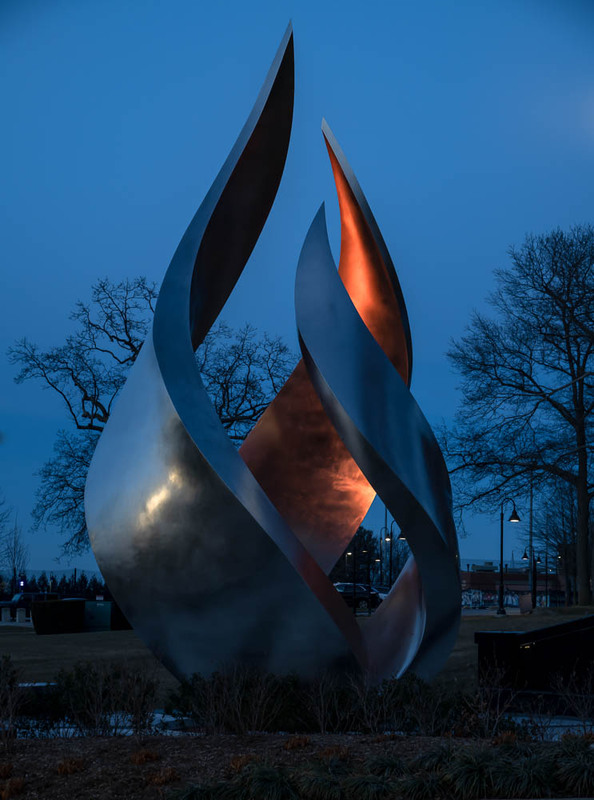 This torch sculpture reflects the significant character of the Dominican Order’s founding of Providence College. While pregnant, Blessed Joan of Aza, Saint Dominic’s mother, had a dream of a dog holding a torch. She understood this to signify that her child would light a fire across Europe with his preaching. Early saints in the Dominican Order include, of course, Saint Dominic, Saint Catherine of Siena, Saint Thomas Aquinas, and Saint Albert the Great. 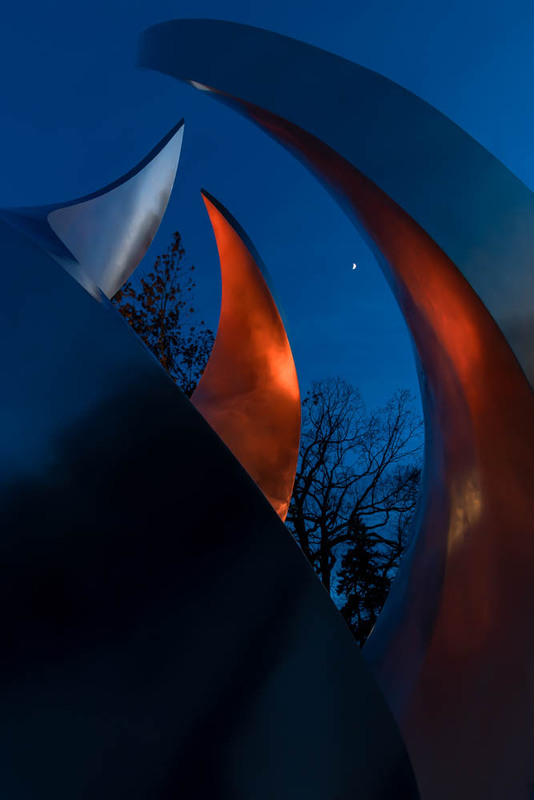 Albert, for whom the Albertus Magnus science building is named, would have appreciated the following image of the torch and the waxing crescent moon.